What we are seeing is the play for bigger control being made. Indeed. Ma Bell rises! She's alive! She's alive! You know what its really about though, right? Obama liked it so it must die! Die. 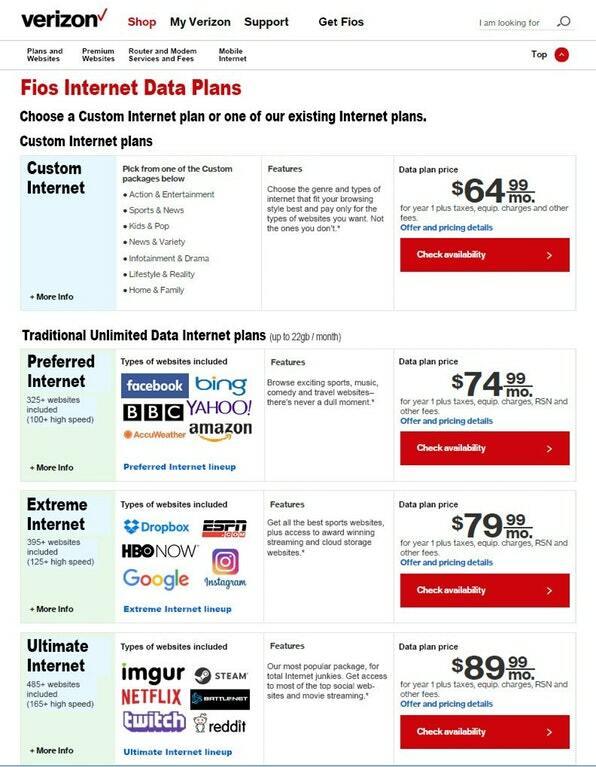 Neutrality bad! Die! There has never been a better time to start your own internet service provider, leverage the publicly available fiber backbone, or build political support for new, local-government owned networks. For the last several months, Motherboard has been chronicling the myriad ways communities passed over by big telecom have built their own internet networks or have partnered with small ISPs who have committed to protecting net neutrality to bring affordable high speed internet to towns and cities across the country. A future in which ISPs are owned by local governments, small businesses, nonprofit community groups, and the people they serve are the path forward and the only realistic way of ending big telecom’s stranglehold on America. n Detroit, the Equitable Internet Initiative is building community-owned wireless internet infrastructure in towns that big telecom won’t touch. Hundreds of towns have built their own internet service providers. Rural communities are putting wireless internet antennas on top of mountains, grain silos, and tall trees. The fastest internet connections in the United States are provided by local governments, not big telecom. In Southern California, Tribal Digital Village is using unused television spectrum to deliver internet. All over the country, big telecom is being rejected and subverted, and you do not need to have a pile of money, an army of lawyers, or a degree in network engineering to take action. But then won't the feds(FCC) come along and make independent isp-ers illegal somehow? Does this mean that if I went directly to a web page by typing in the web address that potentially my ISP could block that website and not let me view it? Pardon my ignorance, but Is this what could happen? Check it out, you have to pay extra for things like Netflix or even Steam. Hell, you have to pay extra for pretty much everything. With all that is available on the internet, how can anyone afford that? Did you notice reddit is available only at the highest tier? Yes. Just like on cable you can't get 'premium' channels unless you pay the premium price. Thats the whole idea of deregulation, the more information and participation you want the more its going to cost. De facto censorship under the guise of 'Neutrality'. There is a new generation of inexpensive wireless LEO satellite service in the works. Uses just a pod on the roof rather than a dish. Even if this gets delayed till 2019 it would probably resolve the monopoly issues that are the result of having a limited number of providers. The expensive infrastructure is justified due to the cost of support for fiber and copper terrestrial lines. Services like WOW are probably looking into the cost of switching over to completely wireless replacement of their infrastructure for new customers. You know what though? That would be like trying to run an independent newspaper. The majors won't allow it on the grounds of Copyright, 'competition' (Monopoly) and the Propaganda department will limit the dissemination of truth that goes against the official line. Anyone rememebr the period of time when Cable TV was one package? You paid for one service that allowed access to 1500 channels, including all the premiums like HBO and Showtime, and friggin local channels from around the world? Then , shazam, they broke it up into tiered packages, only the most expensive service included what everyone used to enjoy under one umbrella. IOW Cable used to be more 'neutral', regarding access, but became more selective about what people can view. Then theres "Basic", all the way up to top tier. Then theres those that don't care, don't have a TV. Just like theres those that don't care about a computer or interwebz. Maybe thats a good thing, sort of. How addicted are we become to the internet. The 'inter' part is interactive, the rest is just 'net' or network. Like Cable 'Network'.